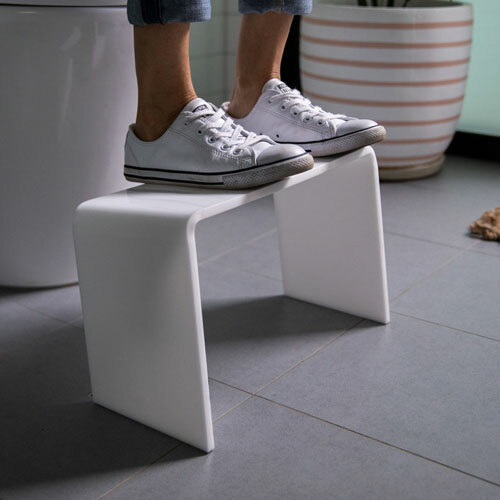 The PROPPR® is an elegant, Australian designed footrest to get you in the proper/PROPPR squat position for your next bathroom visit. As humans we are designed to “squat” in order to “eliminate properly”. But since the advent of the ceramic western toilet, this innate instinct has largely been lost; causing a host of avoidable health problems in western countries. Using a PROPPR® helps replicate the “squat” position on a pedestal toilet, which ‘unkinks’ the colon for a more effective release. The science is simple. The hip flexion achieved by squatting (PROPPing), straightens the kink in the lower part of your colon and waste passes with ease. Going to the loo for a #2 will be easier, quicker and more complete. 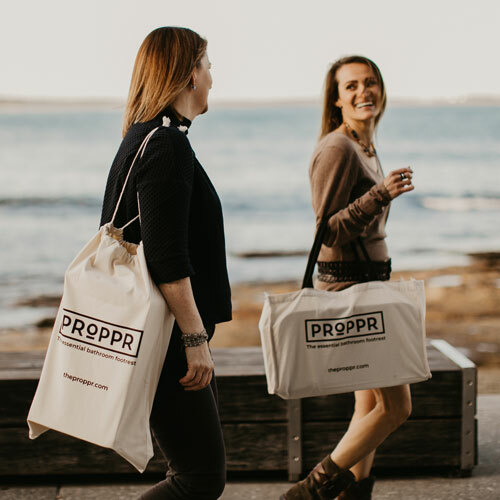 Make a smart move and become a PropStar.